The gift-giving season is upon us. Ideas are everywhere. On social media. In emails. On television. Not to mention promotions in stores. So how do we narrow down a proper list? 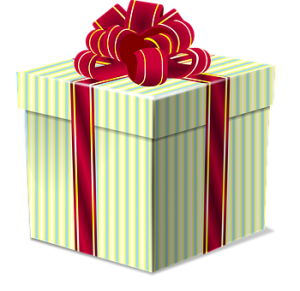 Well if a hot tub is on your gift or wish list, you may be considering purchasing a spa online or at a big box store. Low prices may seem too tempting to ignore. There is a world of manufacturers to choose from. And certainly for smaller items, you can get a good deal online. 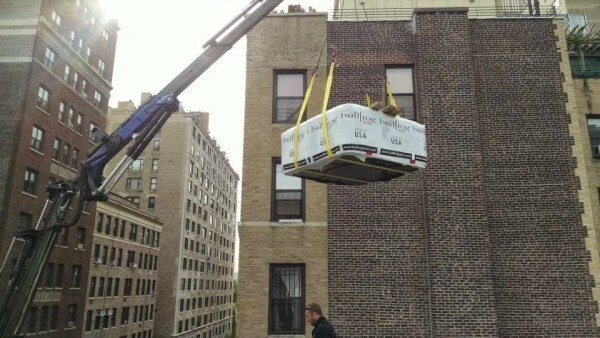 But for big-ticket mechanized-goods, like hot tubs, this can be risky. Consider the buying experience of a Long Island, NY, businesswoman, Crystal Philipou. She wanted a hot tub, took to the internet, and found some great prices. Before making a final decision, she stopped by one of our showrooms and spoke with Bill Renter. “After getting his pricing, I told Bill about the ‘better’ deals I had found online,” says Philipou. As owner of Long Island’s Salon Nouveau beauty parlors, Philipou had first-hand experience of such problems. She had wanted to get special shampoo chairs with massage capability but the Italian chairs were very expensive. So she found another version online made in China that would save her thousands of dollars. “After purchasing the made-in-China ones, within three months, there were electrical problems. Plus the massage mechanism got very loud.” When Philipou contacted the store, the company wanted to charge for fixing them, which would have been very costly. This left her with very expensive shampoo-only seats that couldn’t be used for massage. 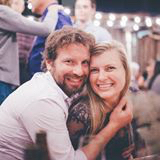 “Remembering my chair experience, I decided not to buy my hot tub online. 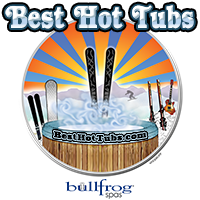 After speaking with Bill, I was fully confident that I could get any problems with my new Bullfrog Spa solved by Best Hot Tubs. The model that Philipou chose is from Bullfrog Spas’ X Series (X7L) — a wonderful, budget-friendly spa that she found compared very well with the mid-to-high-end spas she had found on the internet. 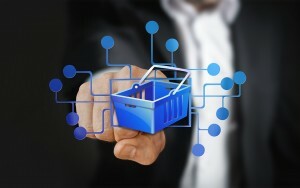 Purchasing big-ticket items at a big box, or warehouse, store has its own problems. Consider this testimonial from another Best Hot Tubs client. “I purchased a spa from a big box store and it came with a manufacturer defect that caused a leak. After multiple calls to the manufacturer CalSpa, they wanted me to pay “travel fees” to an authorized repair person that lived 40 miles away, to make the repair. I called Bill from Best Hot Tubs and he made the repair and took care of the bill directly with CalSpa. There was no blaming that company or complaints about anything. He came when he said he would and took care of everything!!! “We’re glad to have made a convert of Eric for any future hot tub purchases,” says Bill. “One of the reasons I went into this business was because I discovered a truly well-made product. Bill reminds us that a hot tub can cost as much as some cars. “You want to be sure it’s something you will love, that it’s the perfect model for your own tastes and needs. And that it won’t cost too much to operate and maintain. 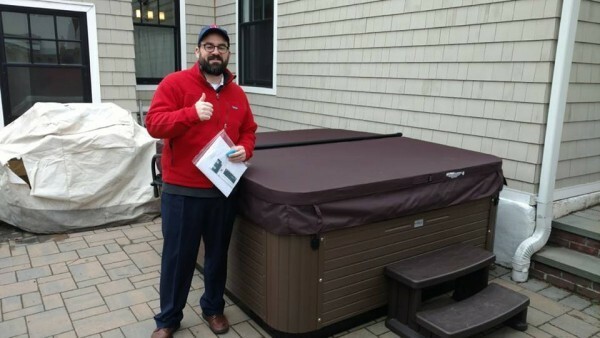 “At our three showrooms [Westbury, Farmingdale, Windham, NY], Best Hot Tubs staff know our local landscape, codes, hot tub operational costs, etc. We’re also available should anything go wrong,” says Bill. 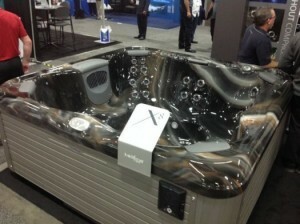 Here is another Happy Best Hot Tubs (Westbury showroom) customer! Standing next to his newly delivered Bullfrog X6L Spa! We may not have a photo of the happy client for this delivery…but it does show that Best Hot Tubs will go the extra mile to get you a hot tub…no matter where you live in our delivery areas.